Wisdom teeth are the last molars to form in your mouth. 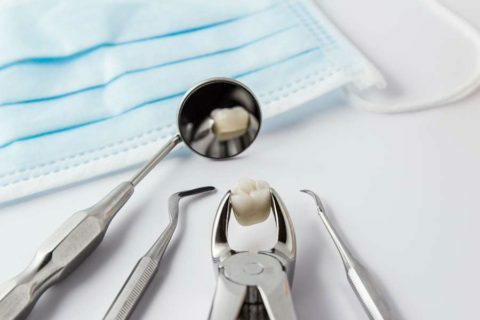 These molars,when trying to break through the gums,often cause complications such as pain, infection, crowding of the back teeth, tooth decay, gum disease, or bone and tooth loss. Especially impacted wisdom teeth can cause a lot of damage. Impacted wisdom teeth are molars stuck in the jawbone, unable to protrude through the gums because they grow at an angle towards other molars. Therefore, in order to prevent or fix already existing problems it is usually necessary to have the wisdom teeth extracted. Before removing a wisdom tooth, you will be given a local anesthetic. However, a general anesthetic may be given depending on the level of impaction, as well as the number of teeth being extracted. The higher the level of impaction is, the more complicated surgical procedure will be. 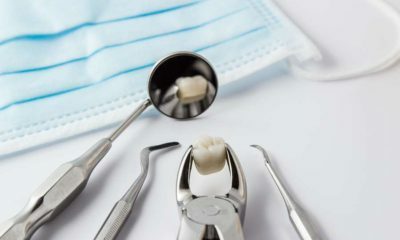 The dentist will make an incision to cut the gum tissue open and first remove the bone if there is any covering the tooth, and then the tooth itself.Sometimes the tooth will need to be broken into smaller pieces for easier removal.After the tooth is extracted you might need sutures that will dissolve over time. The recovery period lasts only a few days in most cases. It is normal to experience swelling, mild pain, and light bleeding after the surgery.The painkillers prescribed by our doctors are usually enough to help you manage the pain and discomfort until your complete recovery.